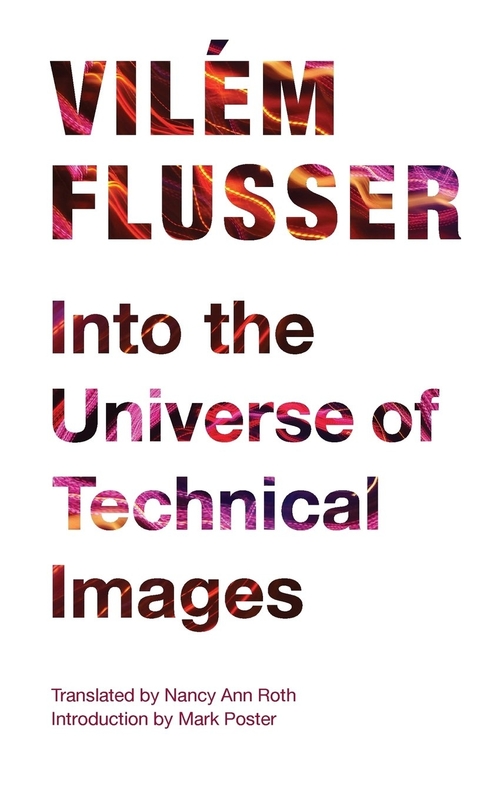 Description: Poised between hope and despair for a humanity facing an urgent communication crisis, this work by Vilem Flusser forecasts either the first truly human, infinitely creative society in history or a society of unbearable, oppressive sameness, locked in a pattern it cannot change. First published in German in 1985 and now available in English for the first time, Into the Universe of Technical Images outlines the history of communication technology as a process of increasing abstraction.Flusser charts how communication evolved from direct interaction with the world to mediation through various technologies. The invention of writing marked one significant shift; the invention of photography marked another, heralding the current age of the technical image. The automation of the processing of technical images carries both promise and threat: the promise of freeing humans to play and invent and the threat for networks of automation to proceed independently of humans. 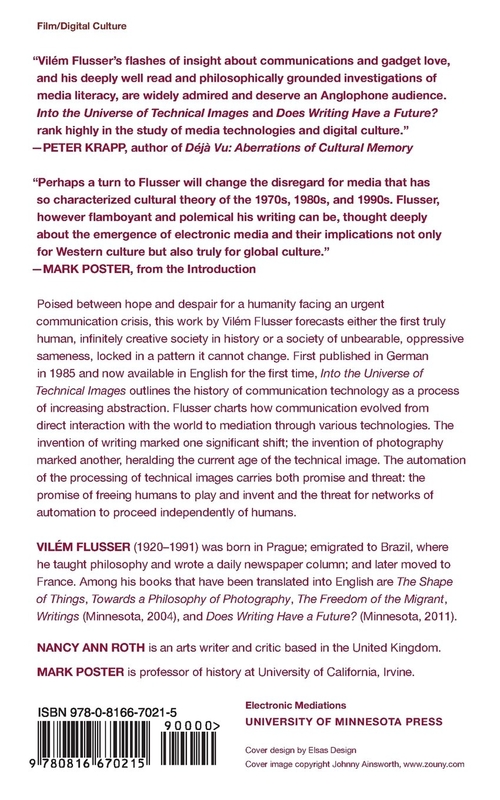 Author Biography: Vilem Flusser (1920-1991) was born in Prague; emigrated to Brazil, where he taught philosophy and wrote a daily newspaper colum; and later moved to France. Among his many books that have been translated into English are The Shape of Things, Towards a Philosophy of Photography, The Freedom of the Migrant, and Writings (Minnesota, 2004). Nancy Ann Roth is an arts writer and critic based in the United Kingdom. Mark Poster is professor of history at University of California, Irvine.